Online Application Details for Mangalore Refinery and Petrochemicals Limited MRPL Recruitment of 85 Technical Assistant and 9 Junior Chemist is given below. Application form and duly attested documents are to be sent to Sr. 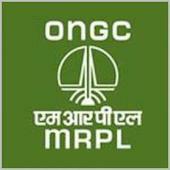 Manager (HR-Recruitment), Mangalore Refinery and Petrochemicals Ltd., Post Kuthethur, Mangalore–575030. In envelope super scribed with 'Application for the Post of Post Name'.